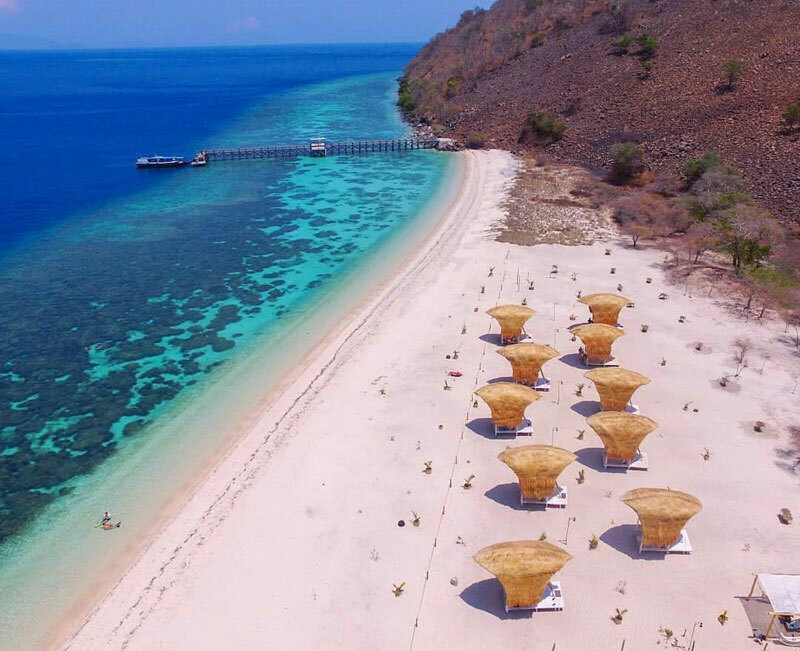 Indonesia > Flores > Guide to island-hopping around Komodo Islands and Flores: Best islands to visit, recommended tours, places to eat, stay and more! Where can you sail around pristine islands and live on a boat at an affordable price in Southeast Asia? 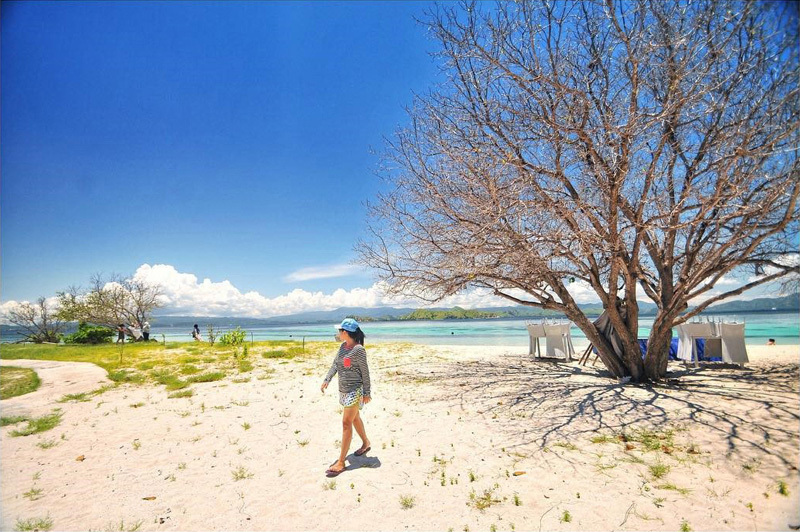 Nowhere except at Komodo islands! 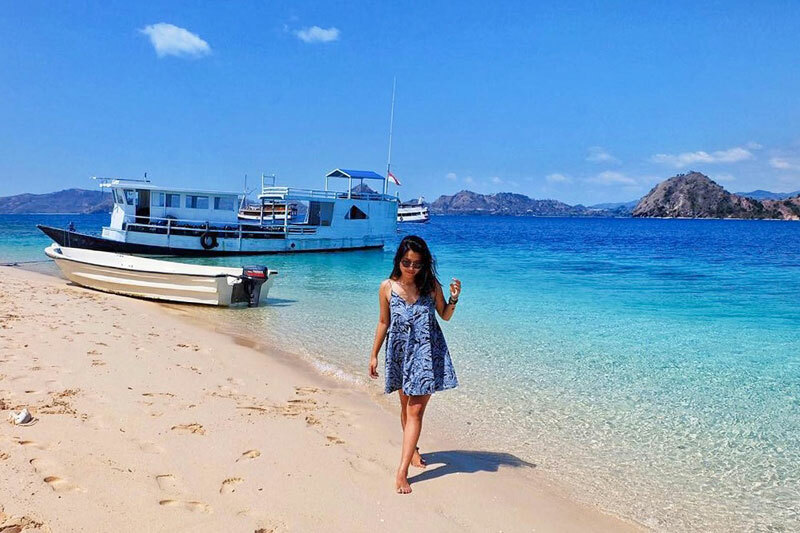 These paradise islands with gorgeous scenery, pretty pink sand beaches and crystal clear waters form part of Flores, which is just an hour’s flight from Bali. 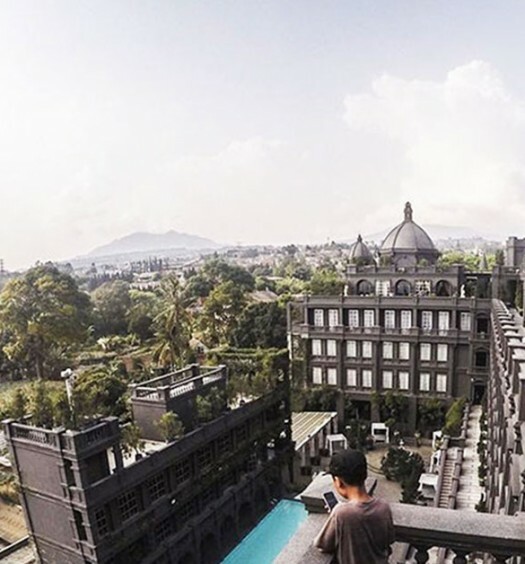 While every inch of Bali’s popular beaches is often crowded with tourists, these relatively untouched tropical islands guarantee you more privacy with ravishing lagoons and even greater outdoors and sceneries. 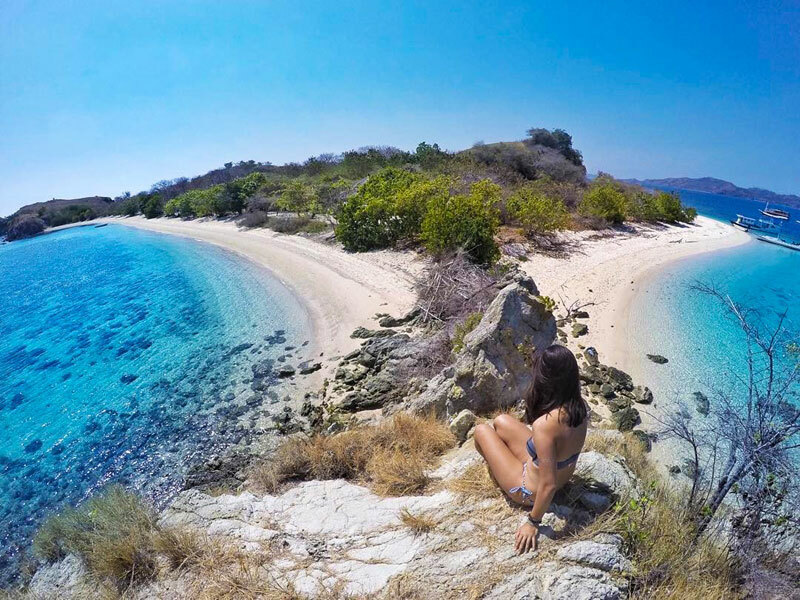 If you’re ready to explore somewhere a little more rugged, Komodo Islands is the best place to start with. 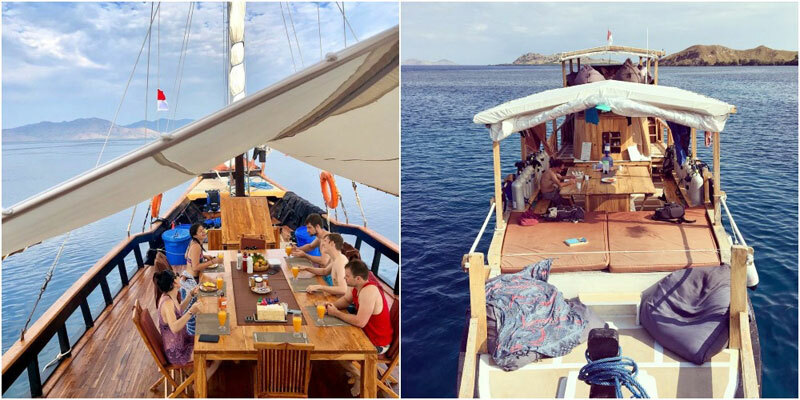 So hop on board a wooden boat and sail out into the Flores Sea, lounge in the sun on a pink beach, snorkel in clear waters and come face to face with the giant lizards! 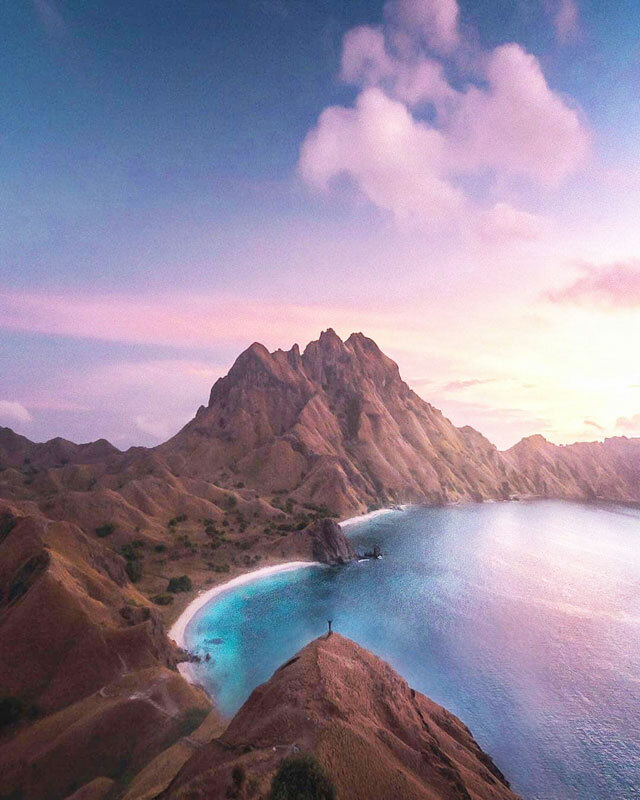 With this guide, you’ll get to know the ins and outs of Komodo Islands and Flores – when to visit, how to get there, recommended tour companies, places to eat and stay, as well as things to do (besides visiting the dragons)! Now this castaway paradise with dramatic vistas is a travel dream come true! We believe that a great escape is one that is peaceful yet comfortable in every sense. 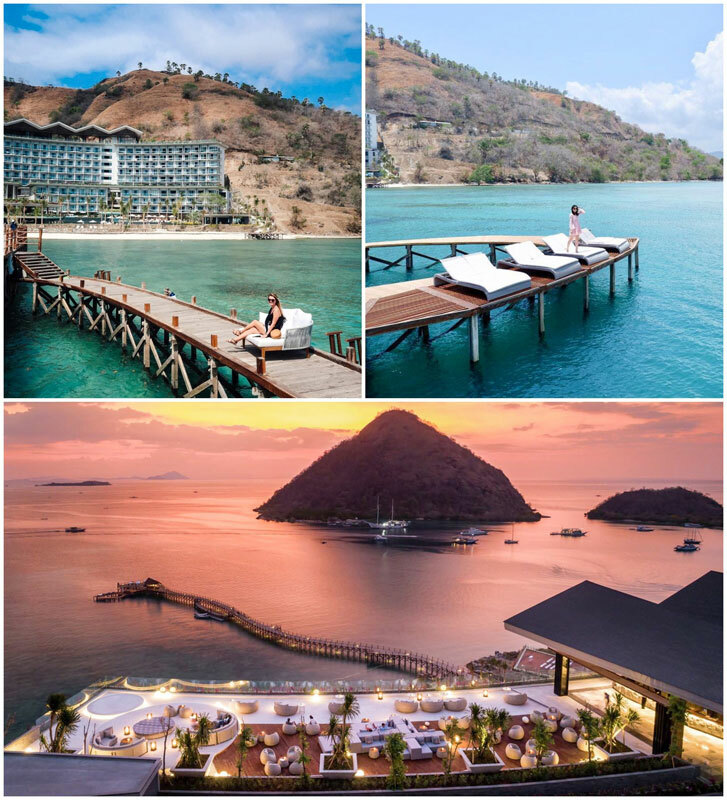 With their sea-to-table dining, thoughtful service, beautiful ocean views and you being pampered to the core; AYANA Komodo Resort, Waecicu Beach makes it to the top when it comes to vacationing in style. 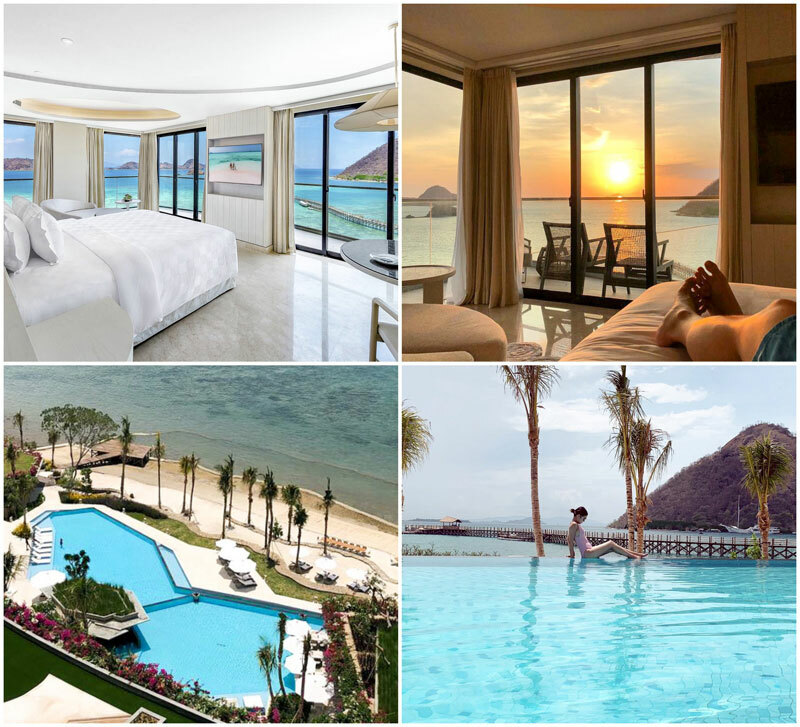 The resort offers ocean view rooms you won’t ever want to leave, with an ocean-facing king-size bed you’ll have to resist as days at the resort look a lot like an exciting tropical adventure. If you’re not getting a relaxing treatment at their spa, make use of the water activities (stand-up paddling, kayaking, snorkelling) or venture to the nearby islands aboard their Glass Bottom Boat tour by Lako Taka to discover AYANA Kukusan and/or Angel Island’s underwater world with absolutely no need of jumping into the water! A speedboat is also at the disposal of guests who wish to board on a full day tour to the gorgeous islands nearby. And if there’s a rule to be respected here, it would be to ‘make the most of it’. Make sure you catch the award-winning show Mother Nature has to offer as the day turns into dusk and the sun drops low behind Kukusan Island; you can enjoy the mesmerizing view aboard their Sunset Cruise (departs from the hotel to Kalong Island and back), from their UNIQUE Rooftop Bar or even from your room! Dinner calls for a seafood feast toes-in-the-sand style at the oceanfront Kisik Grill, which offers a dining experience special on its own! 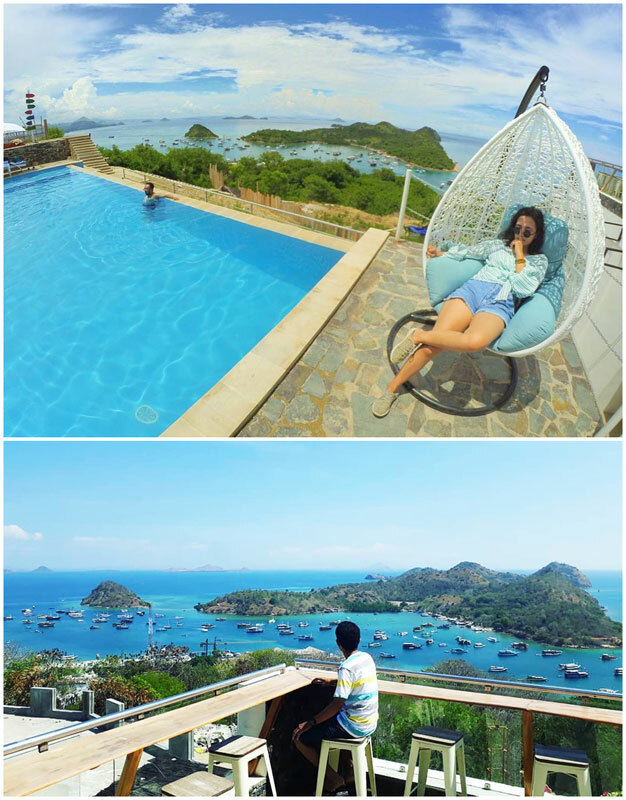 Such a comfortable stay will take your Komodo experience from great to magnificent! If you’re boarding an international flight, the island can be reached via Jakarta or Bali. 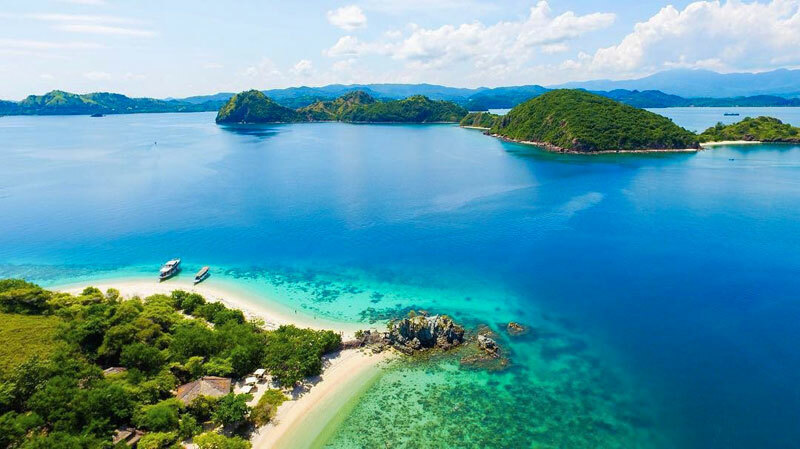 From either of the two cities, you can then take a domestic flight to Labuan Bajo in Flores, this is the hub for Komodo Island tours. 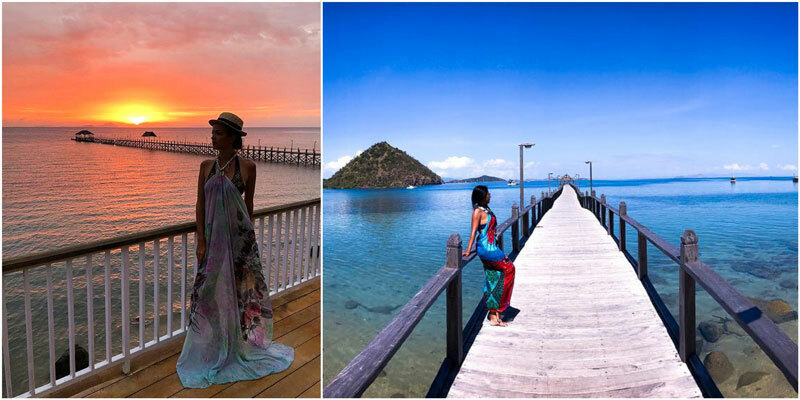 A flight from Jakarta to Labuan Bajo will take about 2.5 hours whereas the trip from Bali will only take one hour. 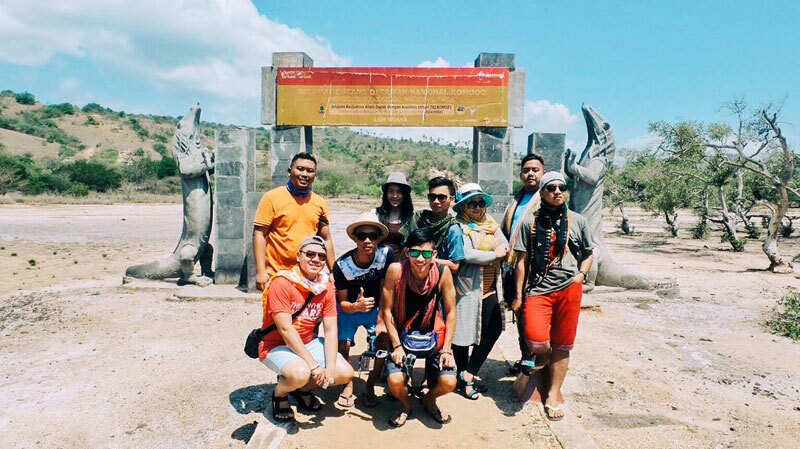 Another alternative route popular among those with plenty of time is a multi-day trip by boat from Lombok – Bali’s sister island. Step 1: Take a flight from Singapore International Airport via Tigerair, AirAsia, Garuda Indonesia, SilkAir or Singapore Airlines to Bali. Flight duration: 2 hours 40 minutes. Return flights from SGD 175. Step 1: Take a flight from Kuala Lumpur International Airport via Malaysia Airlines, Malindo Air, AirAsia to Bali. Flight duration: 3 hours. Return flights from RM 468. Take a flight from Soekarno Hatta International Airport in Jakarta via Batik Air to Komodo Airport, Labuan Bajo. Flight duration: 2 hours 20 minutes. Return flights from Rp. 3,807,000. Before embarking on an adventure to conquer Komodo Islands, first, you need to find a solid fleet and fellow pirates to help you along the journey! TripCanvas Tip Why opt for a liveaboard instead of day trips? 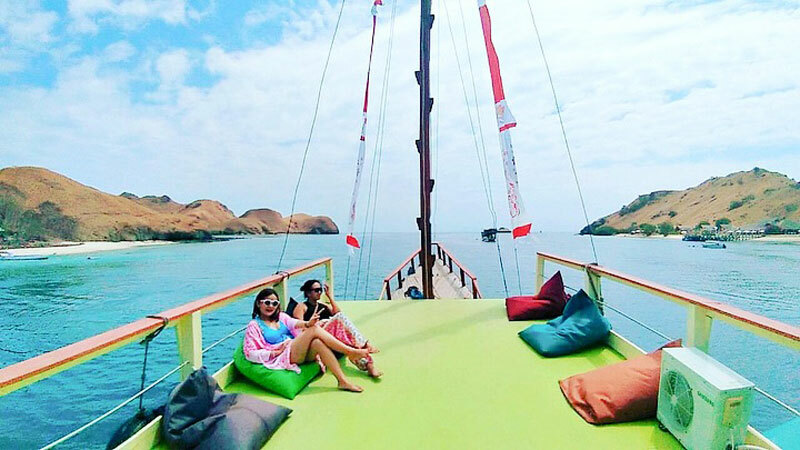 We think day trips are a tad rushed, and you’re often given half an hour to an hour at any given location, because the sailing distances can be far, especially if you’re travelling to Komodo Island itself or Padar Island. With a liveaboard, you can afford more time at each place! You’ve probably seen this liveaboard experience all over your social media feed. With its distinctive Santorini-coloured boats, Le Pirate Explorer is a favourite among most travel influencers. 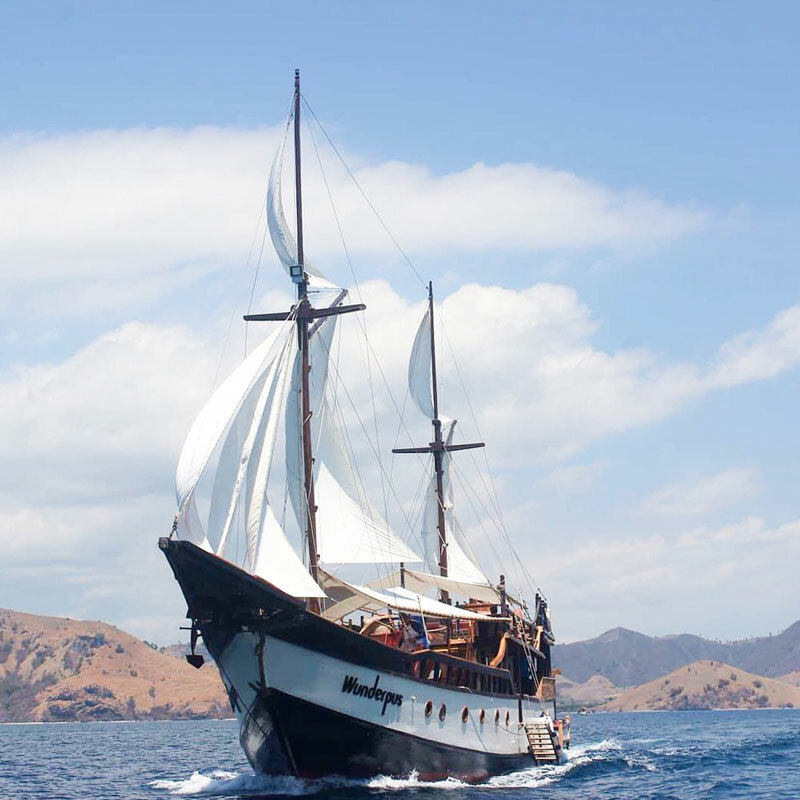 Sailing in style is guaranteed while they take you to explore Komodo Islands most awe-inspiring scenic spots. 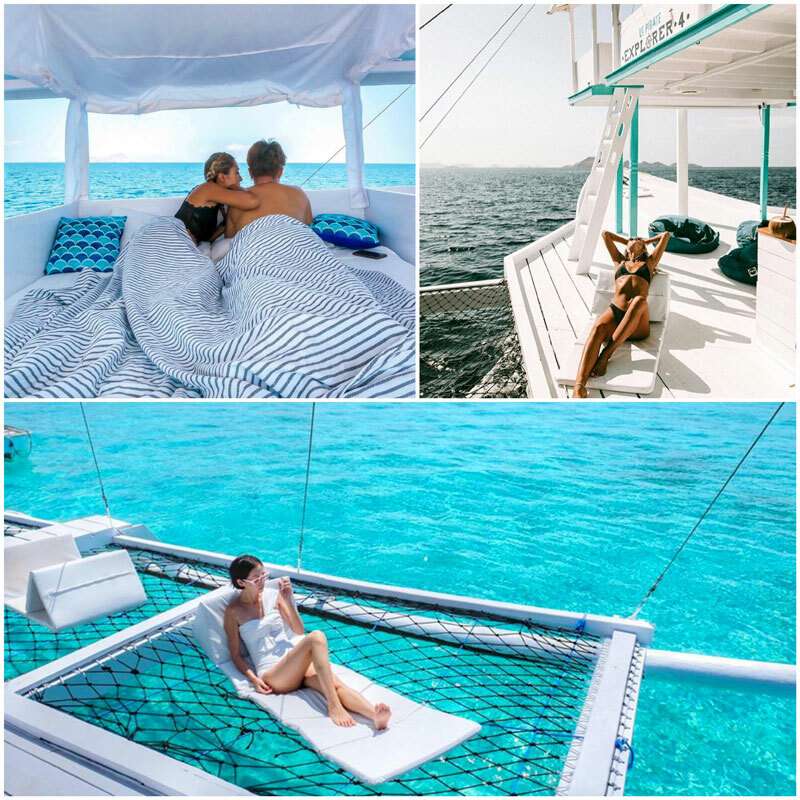 While you live on board you get to enjoy the unparalleled advantage of waking up right in the middle of the ocean, followed by exciting snorkelling sessions with gentle sharks and manta rays. 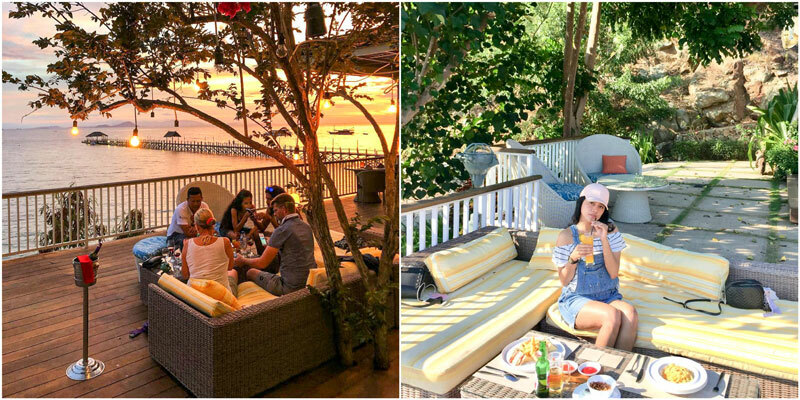 This barefoot luxury experience guarantees the best unobstructed sunset views while you sip on wine and relish at the stars coming into the show! The staff accompanying you bring a unique touch to the overall experience and trust us, you’ll leave with new friends! With spacious and comfortable cabins, great food and crew, it is no wonder that Wunderpus collects over 300 excellent reviews! Come and let your worries float away as you are assisted by their friendly and knowledgeable staff who cherry pick the best spots for you to explore! Though you’ll be set right in the middle of the ocean, food offered is fresh and never boring. The chef varies your daily menu with an array of Western options to local Indonesian seafood feasts! 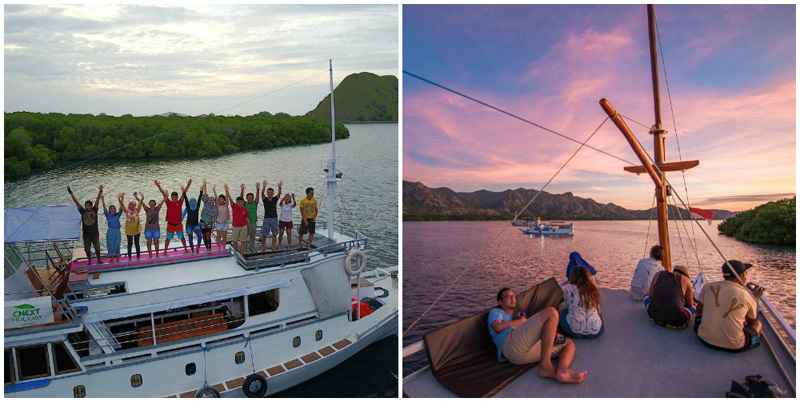 Price: From Rp 7,000,000 for 4D3N liveaboard (Approximately USD $458.30) per person. Inclusive of meals and snorkelling equipment. Note: All Wunderpus liveaboard trips are scheduled and pre-planned on specific-date basis. Check out their schedule here. 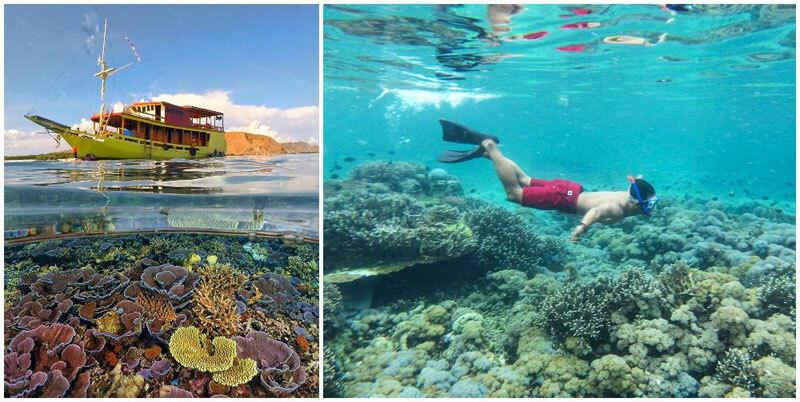 Are you a diving enthusiast on visit to Komodo Islands for its remarkable underwater world? If so, you should definitely consider sailing on board of Wicked Diving Tour. Yes, it is about to get wicked my friends! 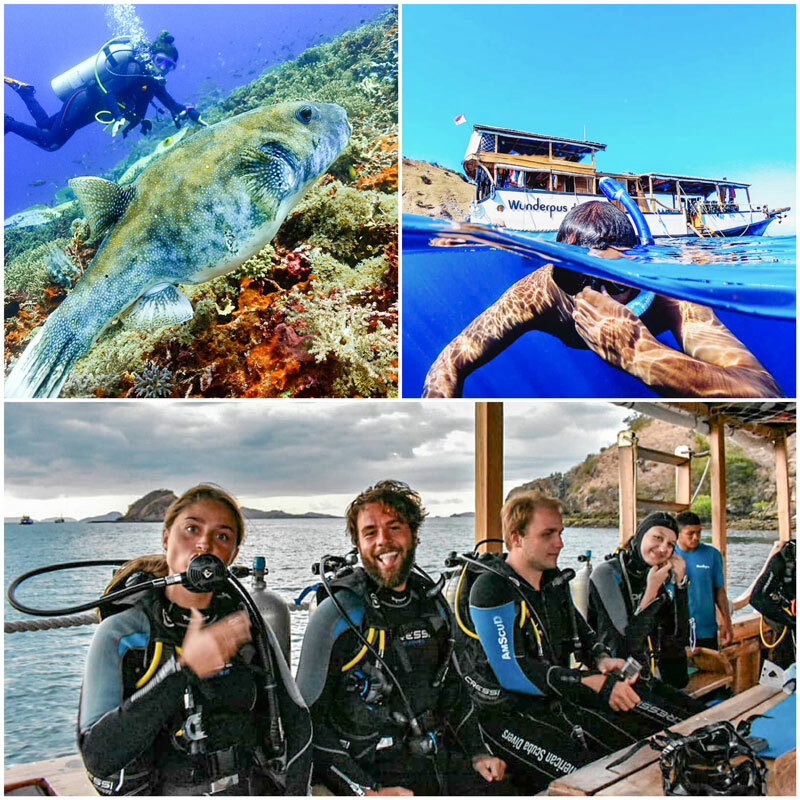 The company focuses on diving trips for experienced divers who wish to explore the beauty of Komodo stunning marine life. But if you’re an amateur still wants to head underwater and explore the beauty of the ocean, we would recommend you to opt for their snorkeling tour first! Depending on the ocean currents, they will bring you to different diving sites where you’ll get plenty of time to come face-to-face with the most peculiar marine creatures, amidst lively flamboyant coral gardens. Their most popular diving sites include Cauldron, Tatawa, and Batu Bolong, these are top-divers’ favourite spots as you get to swim with the special ones; the Whitetip reef sharks and Hawksbill turtles. 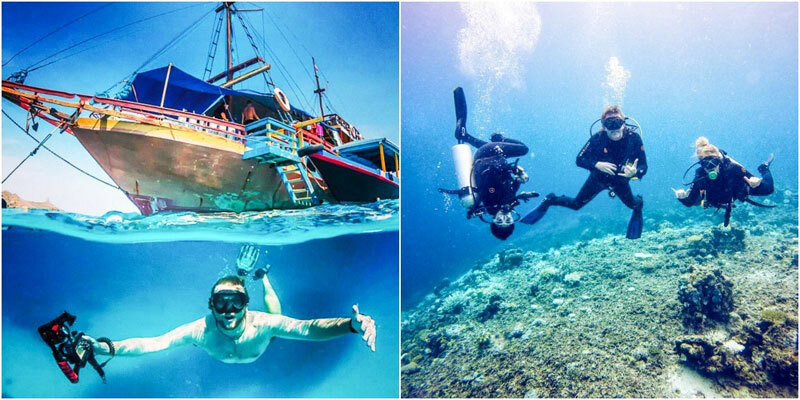 Price: From Rp 8,461,000 for 4D3N liveaboard (Approximately USD $556) per person. Inclusive of meals and snorkeling equipments (diving gear are available for rent). Note: All liveaboard trips organised by Wicked Diving Tour are scheduled and pre-planned on specific date basis. Please contact them directly to confirm availability. 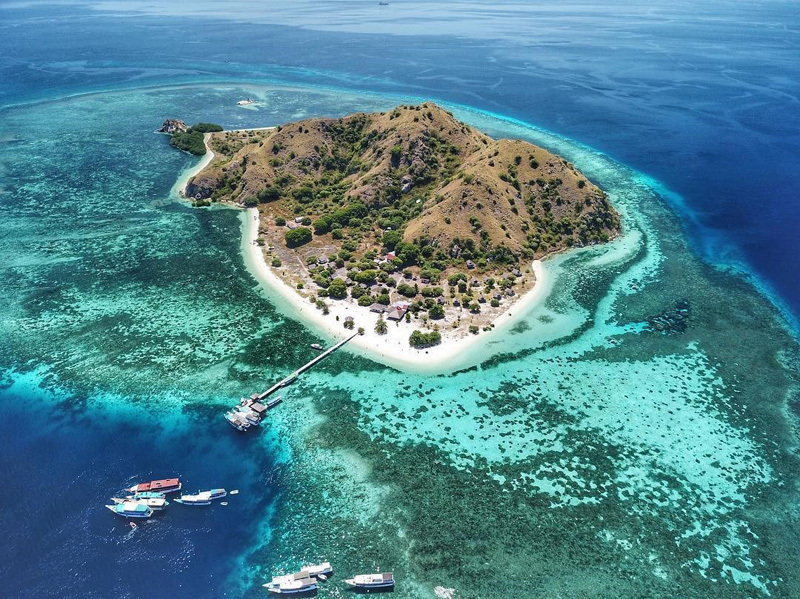 If you prefer to take control of your own journey and decide which islands you want to visit, Komodo Alor is a good option to consider. 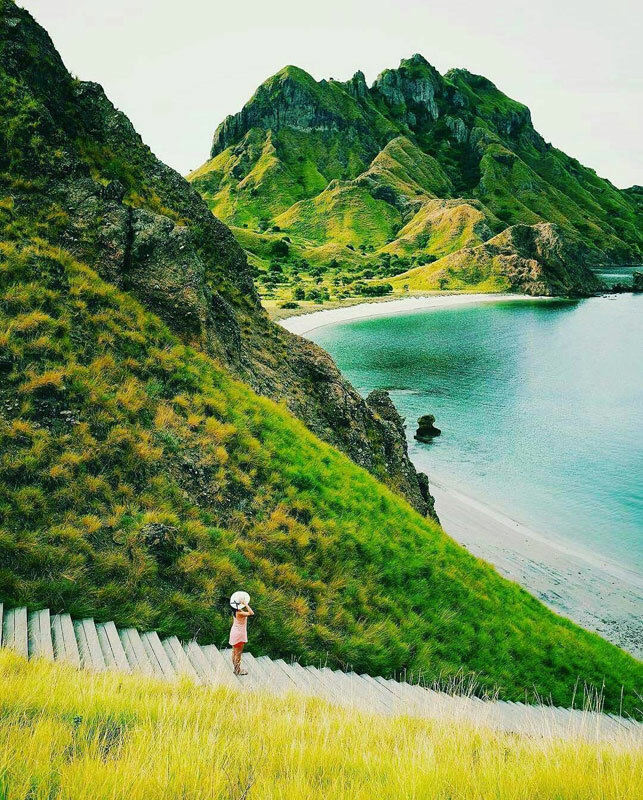 From the must-visit islands of Rinca, Padar, and Komodo to the non-mainstream ones like Kanawa and Kelor Island, you can mix and match as you please, just ask and you’ll receive! 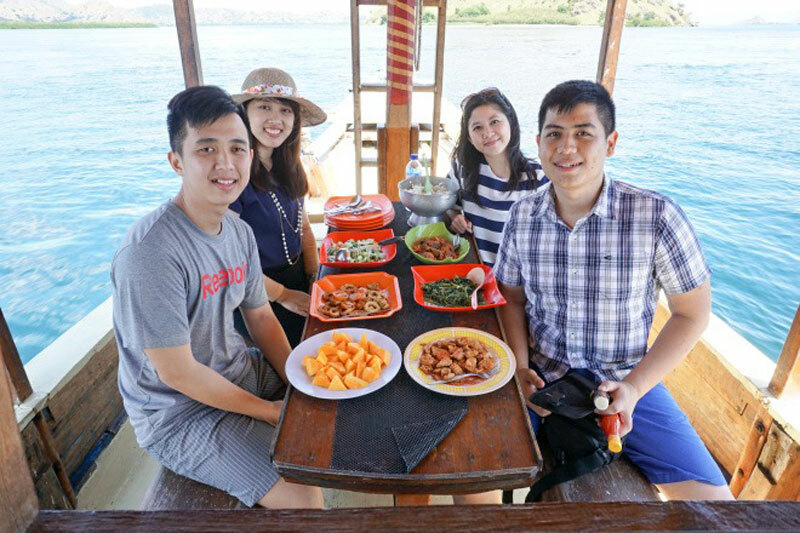 Komodo Alor is most suitable for those traveling in groups and who enjoy time with family and friends. Opting for a chartered boat gives you the freedom of travelling at your own pace! Price: From Rp 9,000,000 for 4D3N liveaboard boat charter (Approximately USD $591.40). Inclusive of meals and snorkeling equipments. 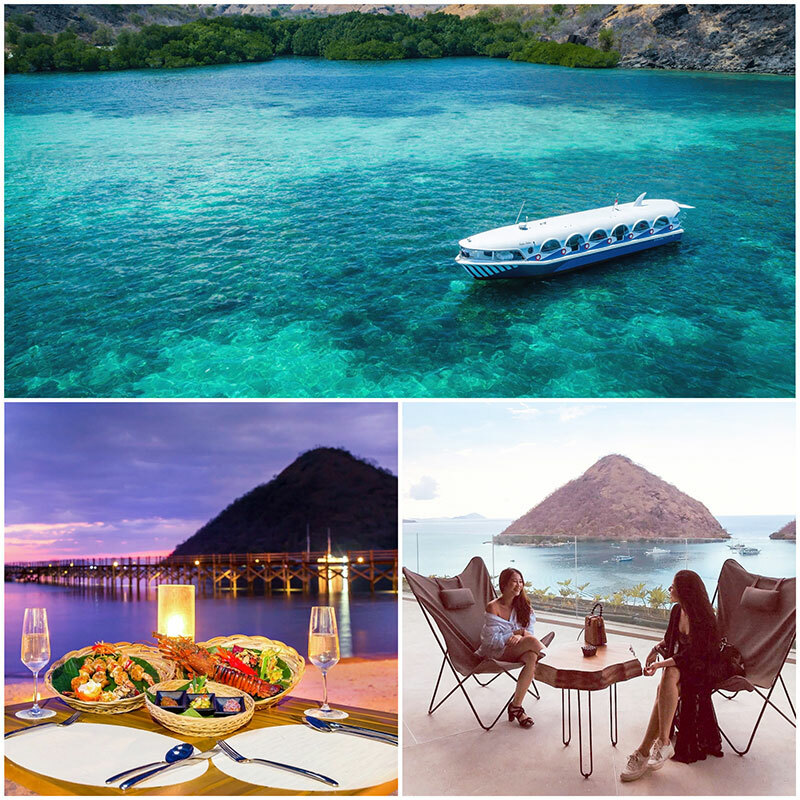 One of the greatest things about Komodo Islands is its collection of exotic islands dotted around the mainland. Every single one of them possesses a mesmerizing charm and uniqueness that is bound to capture your heart! 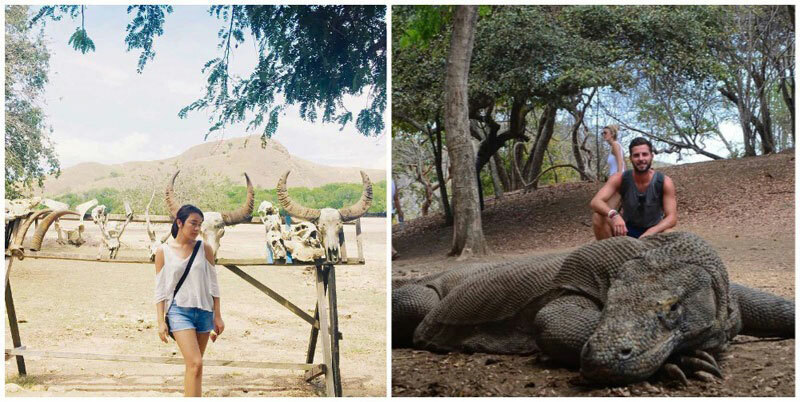 Step into Indonesia’s Jurassic Park (Komodo National Park) and witness the giant lizards roam and rule the island. 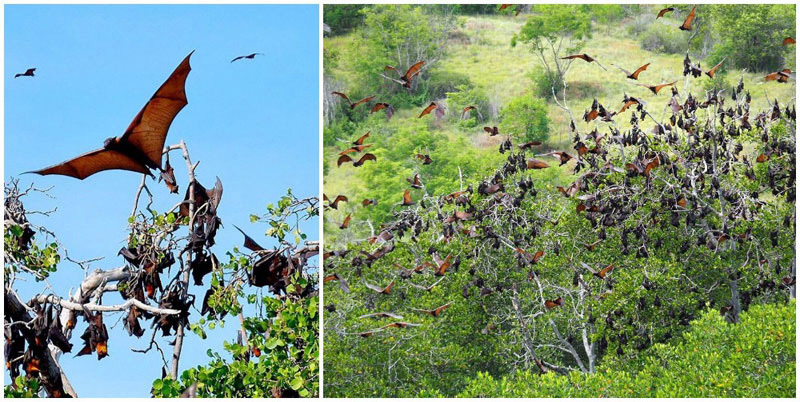 The park was selected as one for the New7Wonders of nature and is home to the closest relative of the dinosaur! 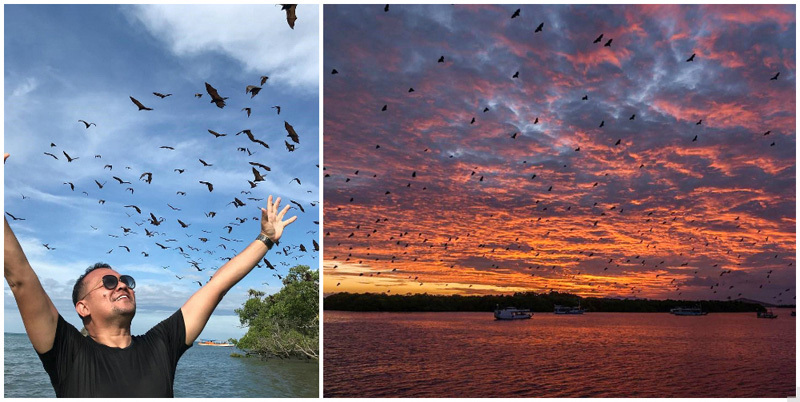 Prepare your weapons (camera or selfie sticks) and capture this magical moment. Share your victorious moment. After your dragon hunting adventure, head to the Pink Beach and see how Mother Nature worked her magic. The pink sand contrasting with the clear blue sea water is second to none; it is indeed a rare sight that looks straight out of a postcard! 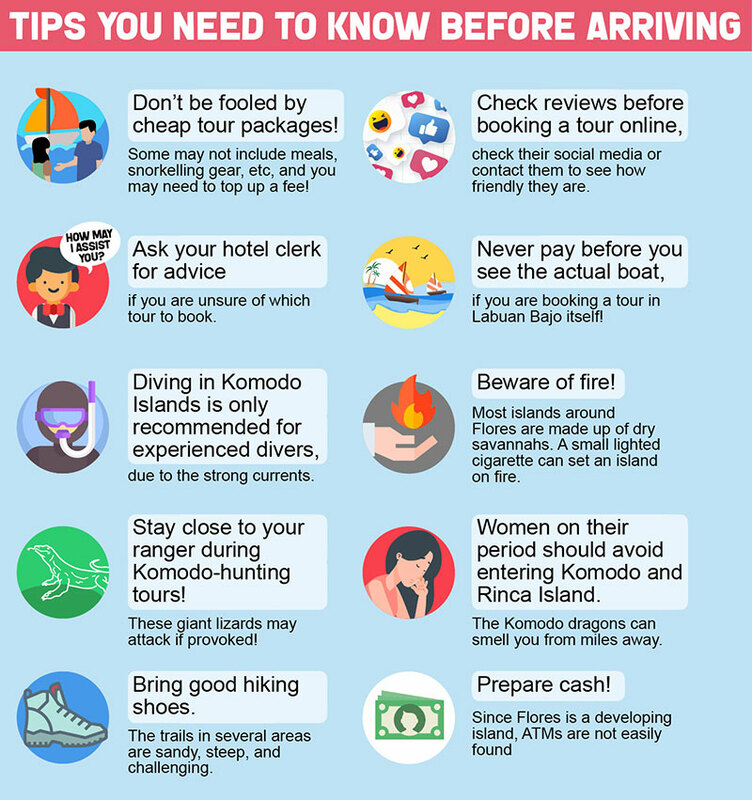 Getting there: Organize a boat trip from Labuan Bajo. It will take 2 hours by using wooden boat from Labuan Bajo. 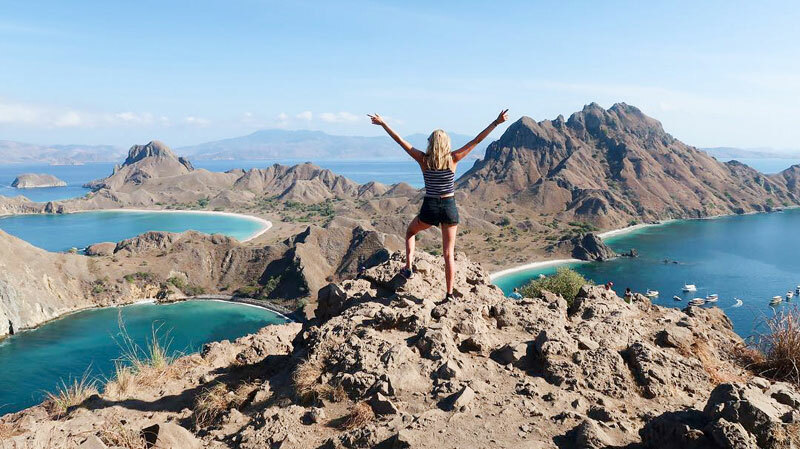 A must-stop of the trip – Padar Island! This is where you get to relish on panoramic views of majestic green hills, azure waters and a spectacular stretch of white sand beach; all at once! We deem it as a “postcard-perfect place to see before you die!” Make sure your phone camera roll is empty and that your digital camera has an extra memory card. 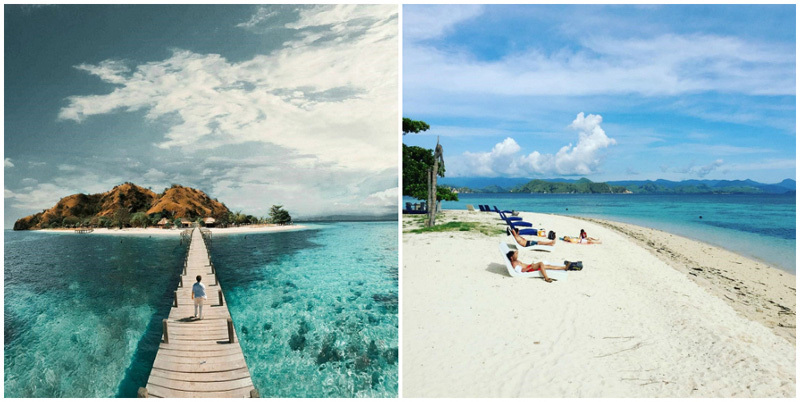 Go forth and explore this way-too-beautiful island and let your eyes explode with its gorgeousness. 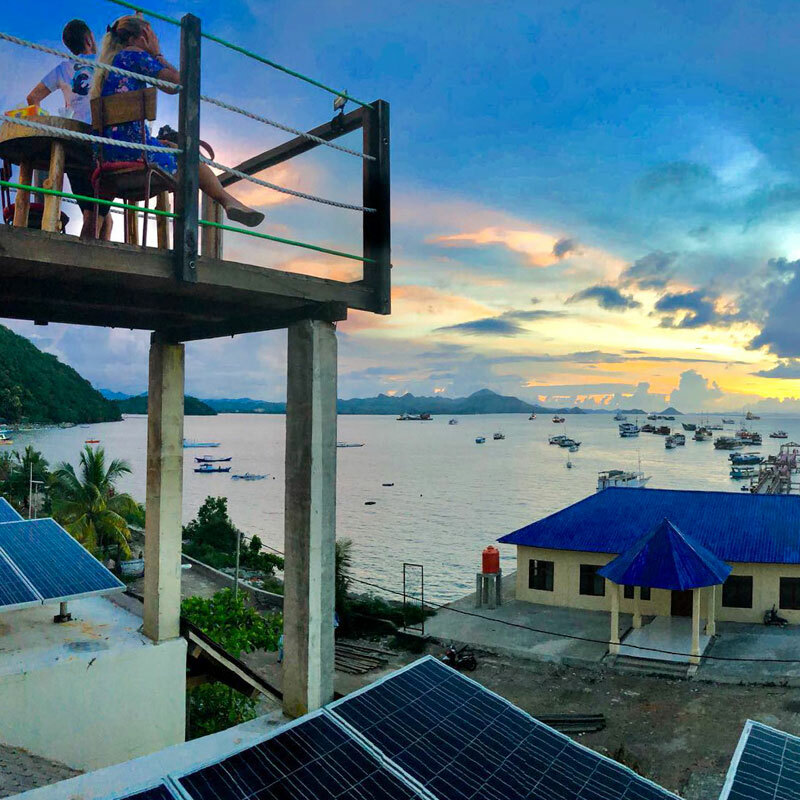 Getting there: Organize a boat trip from Labuan Bajo. 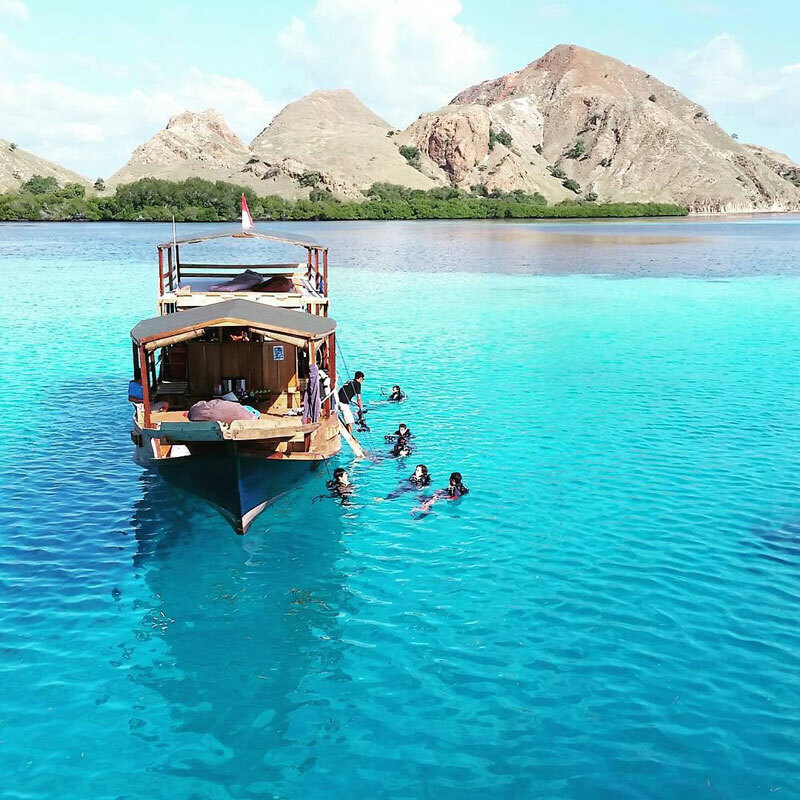 It will take around 3 hour and 30 minutes by local wooden boat and around 1 hour and 30 minutes by speedboat from Labuan Bajo. Getting there: There is a boat service from Labuan Bajo to Kanawa Island at 12 noon every day, and the boat ride takes about 1 hour. 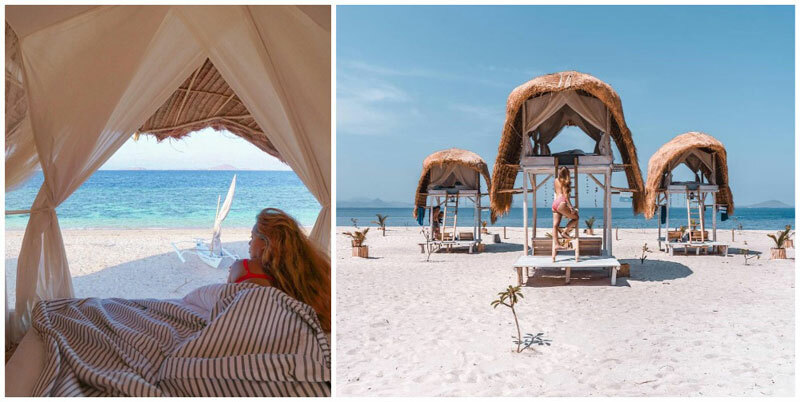 If you fancy some shade or a nap, head to the beach hut that overlooks the stunning sea, lay down in your lover’s arms while your dreams become reality! During sunset, you’ll be blessed to witness the ball of fire sink into the horizon, setting place for a mesmerizing milky way. Getting there: Le Pirate will provide transit boat from Labuan Bajo. 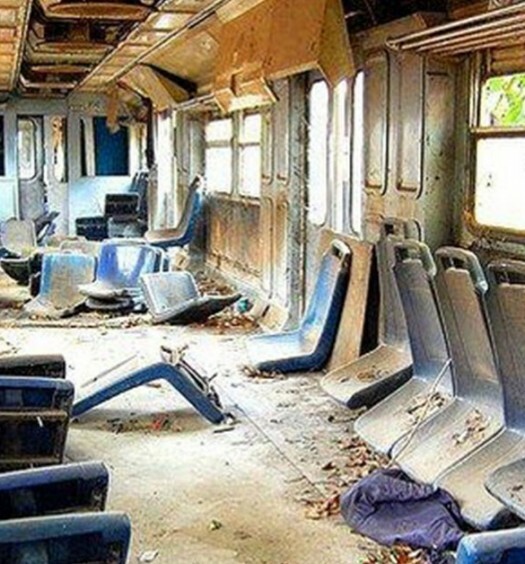 The trip will take around 1 hour. 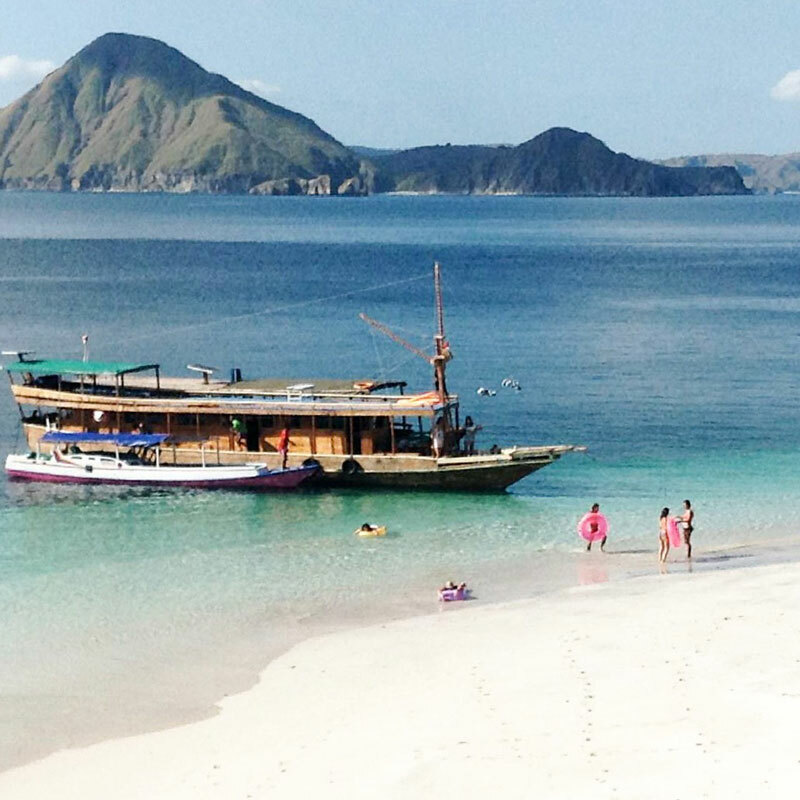 Getting there: Organize a boat trip from Labuan Bajo. The island is located 30 minutes away by boat. Getting there: Organize a boat trip from Labuan Bajo. It will take around 30 minutes by local boat. 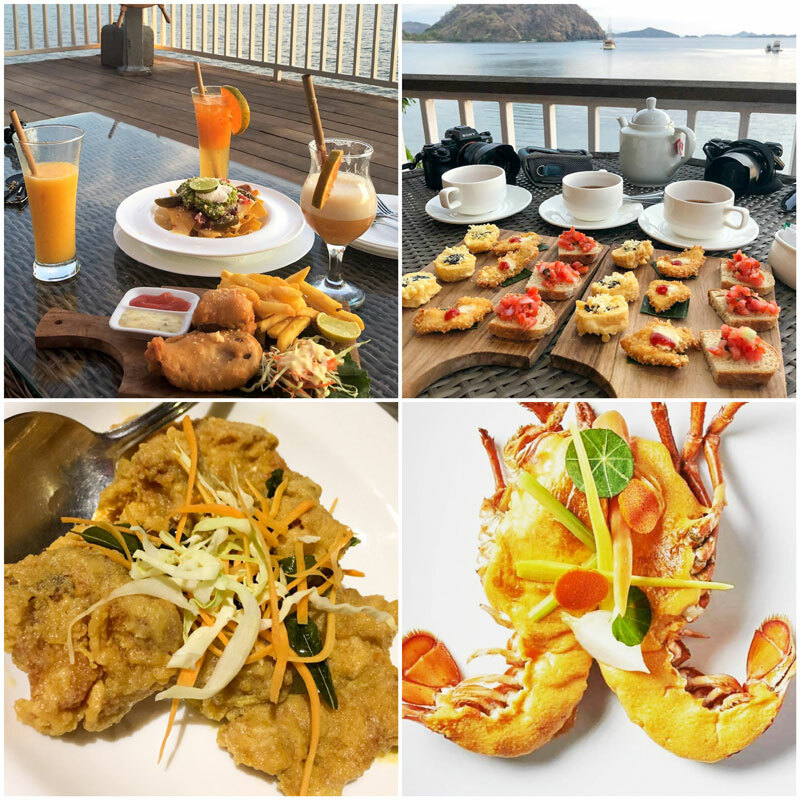 We can’t possibly think of a better way to start your trip in Labuan Bajo than dedicating it to seafood. 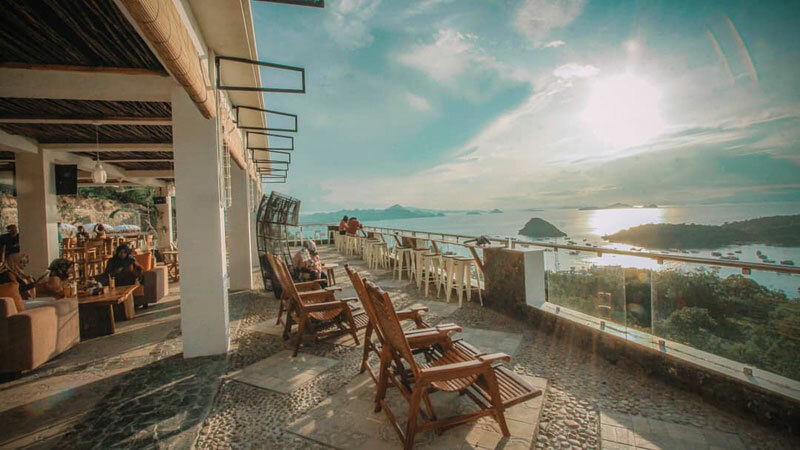 Head over to Tree Top and we hope you secure a seat on the top floor, as you’ll get to feast your eyes on endless ocean views, dotted with sailing boats. This is a guaranteed treat for both stomach and eyes! 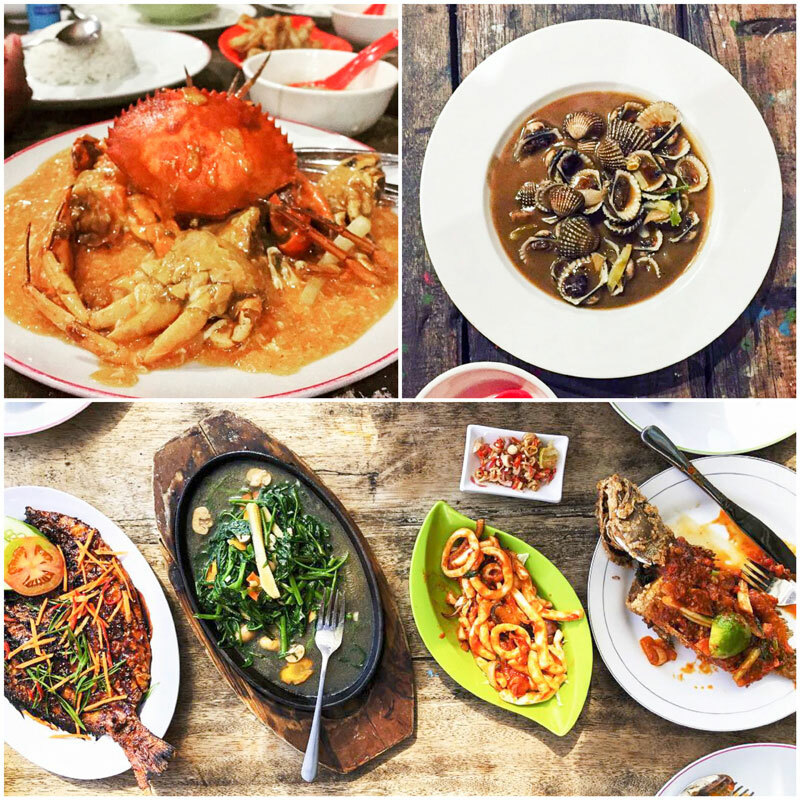 We recommend you to order their grilled fish, chili crab, and chili squid, These delicacies are freshly caught daily so you can expect a real sea-to-table experience! 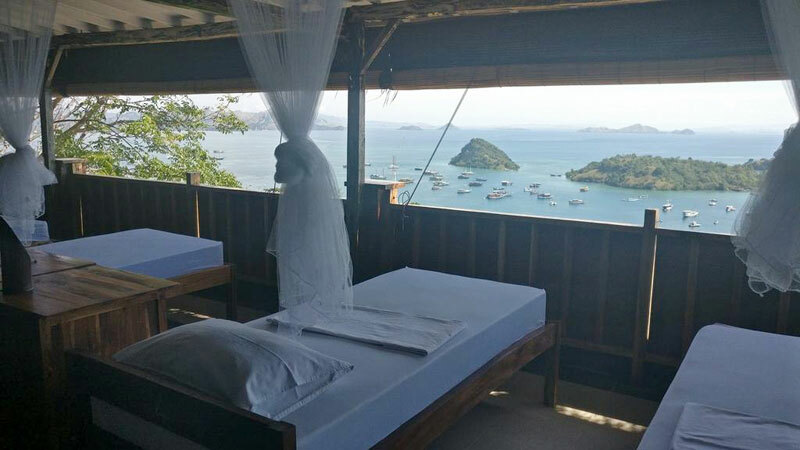 If you want to turn your night in Labuan Bajo into a luxury romantic treat, Atlantis on the Rock is the best choice! Settle in at sunset time for drinks and munchies and as the sun sets low, you can opt for their seafood options (best paired with wine!). 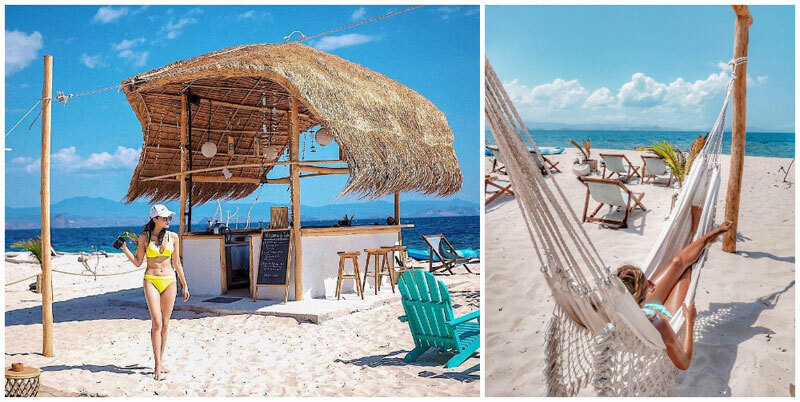 This open-air restaurant offers magnificent views of the ocean but does not compromise on service as well! P.S. We also heard that sometimes, on clear nights, you can even see the Milky Way at Atlantis! 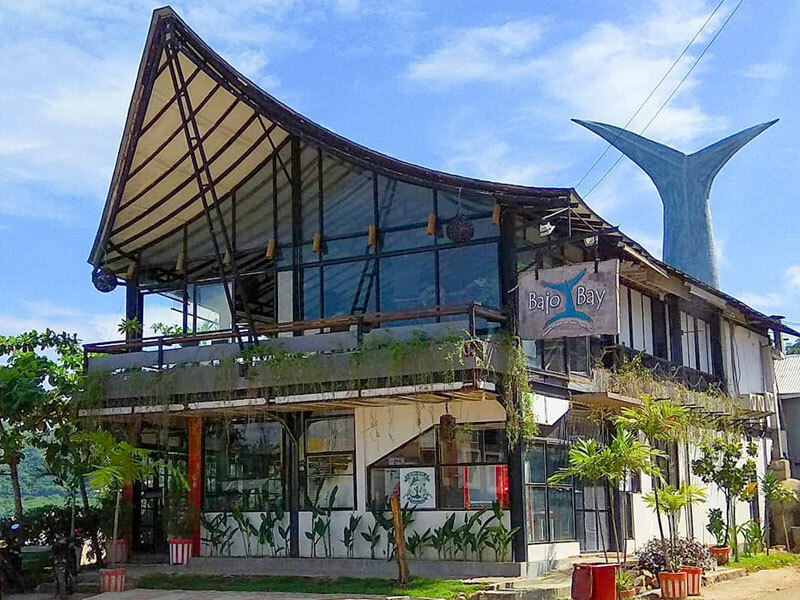 How can you leave Flores without a local seafood feast? 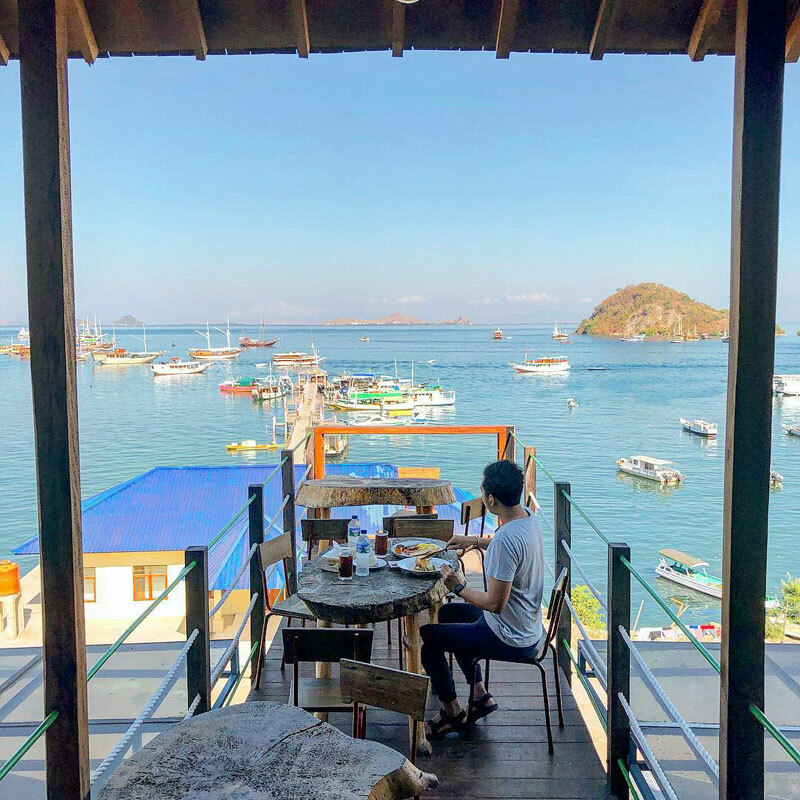 Come to Bajo Bay Fisherman’s Club and chomp on their mouthwatering seafood with stunning bay view. No seafood could go wrong here! But if you’re really hungry from the snorkelling or island hopping, order their grilled seafood combo which comes with humongous prawn, spicy squid, and scrumptious fish! Is your daily good mood sponsored by coffee? Treat yourself with a warm hug in a mug at this traditional little cafe! All you need is a cup of local Flores coffee and some local breakfast items to keep you going through the day. 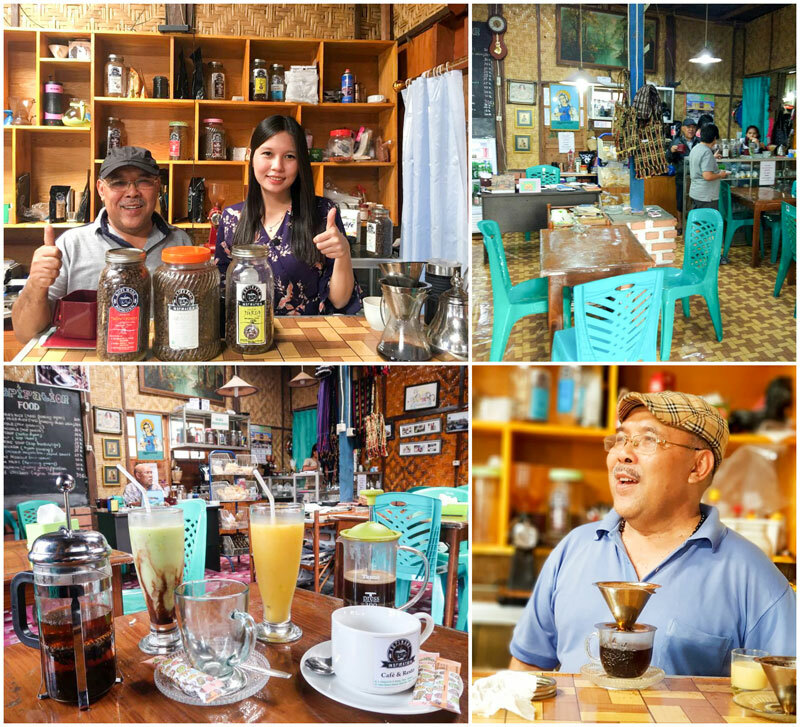 If you are not rushing for time, you might want to engage a conversation with the cafe owner as he is a huge coffee enthusiast and will be glad to share the stories behind his coffee making! On the lookout for a value-for-money stay? One of our friends stayed here and was fully satisfied for the amount paid and the service received. 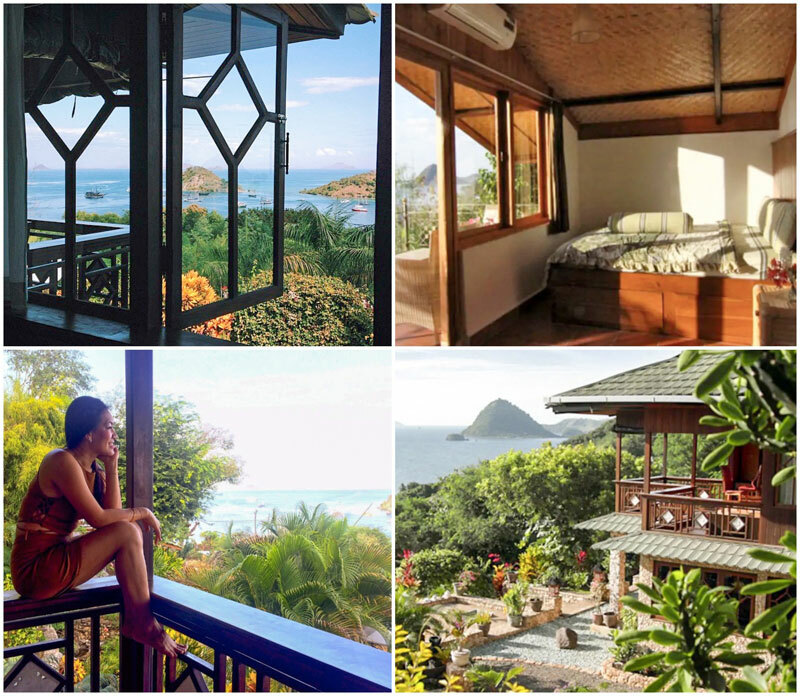 Where else can you find ocean views at affordable rates? 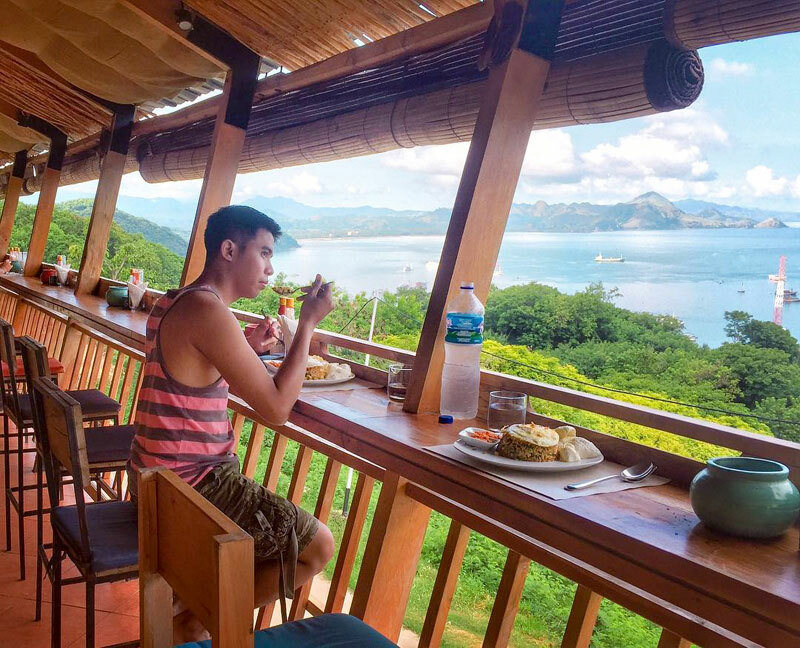 The hostel is accessible after a short hike up a hill but that also means that you get to enjoy stunning views from your stay – be it in the morning when you get out of bed or while you enjoy breakfast at the onsite restaurant! 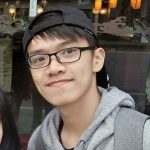 Come join other adventurers and leave with new friends! 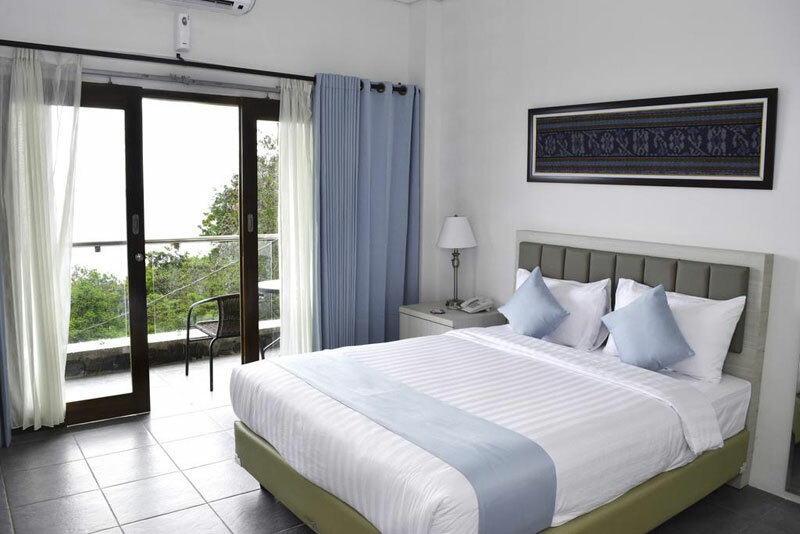 Isn’t it just wonderful to wake up to stunning views of ocean while being surrounded by lush greenery? 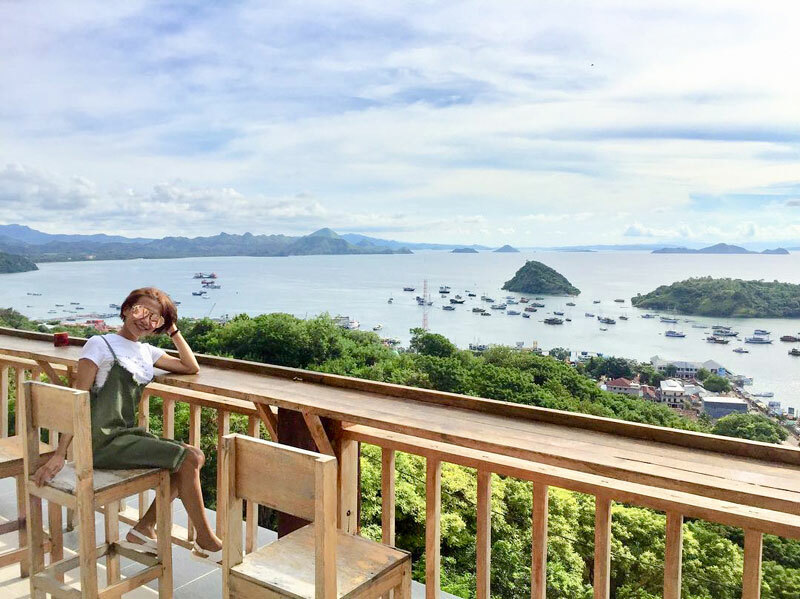 Villa Seirama Alam is a little paradise that offers serenity and awe-inspiring views for travellers to rest and relax after their long tiring adventure day hopping from one island to the next and exploring the underwater world. 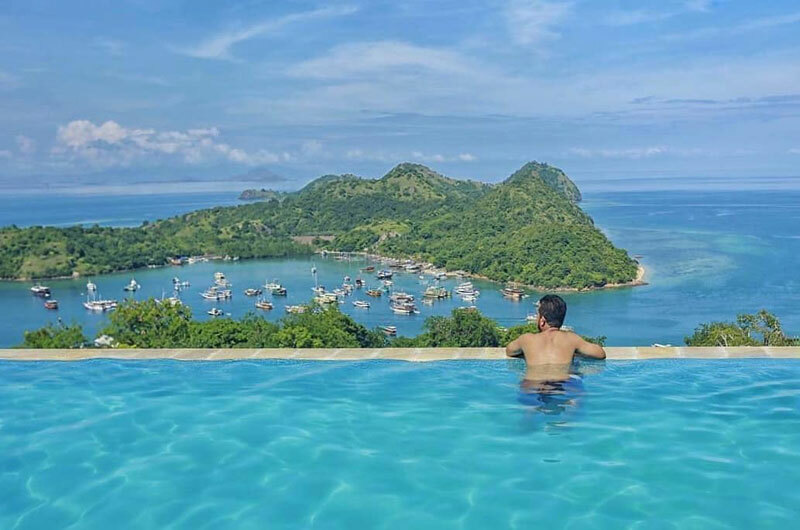 We’re grateful for spectacular views but something we enjoy even more is to soak in an infinity pool to take in the magnificent vistas! The staff at the hotel will make sure you never want to leave, they’re incredible in the sense that they will make each and every guest feel special. Since it is newly opened as at 2018, you can expect clean rooms (though you won’t spend much time in there). 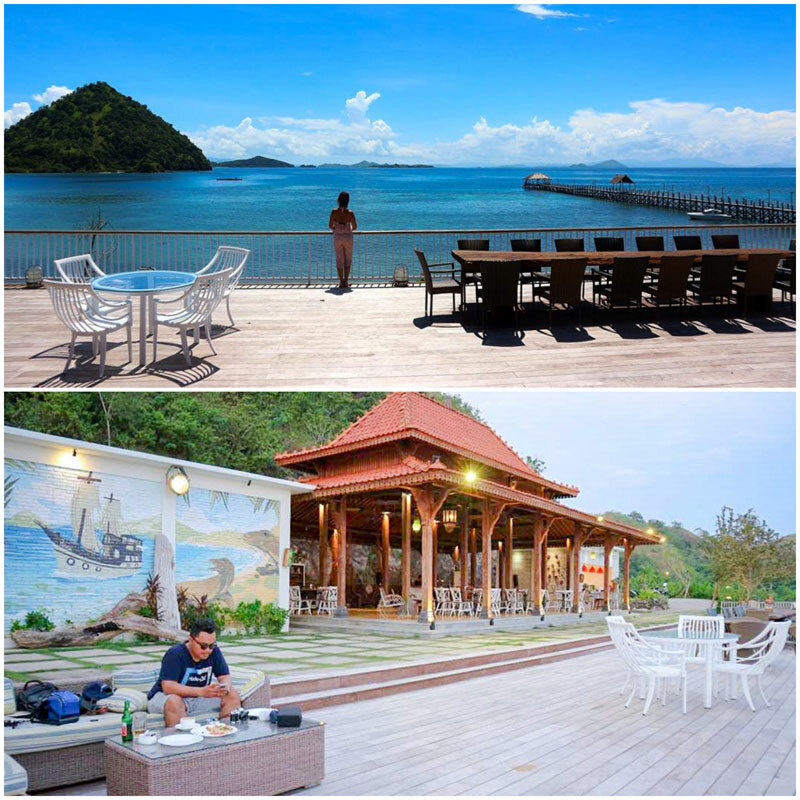 Free shuttle service is offered from Labuan Bajo centre as well as from the airport! 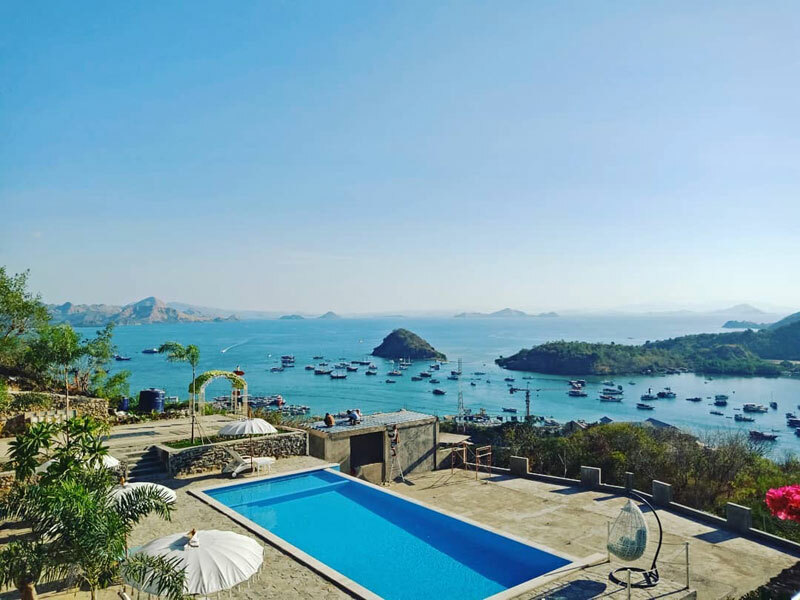 Anytime is a good time to visit Flores as every different season has its own uniqueness, except February, which is the rainy season. 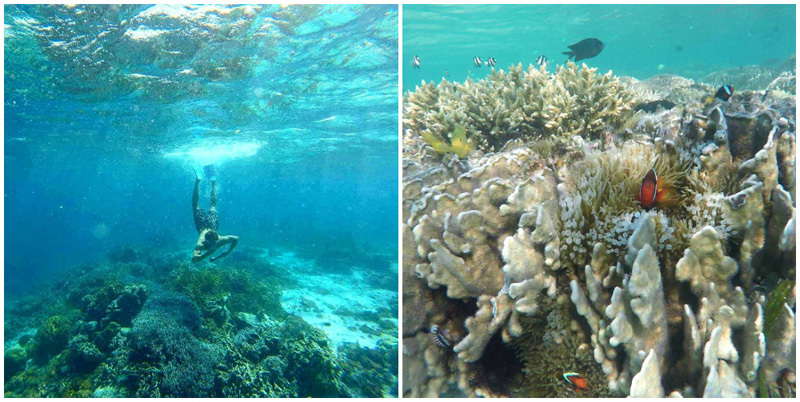 April till June marks the end of the rainy season and it is the perfect time to dive and enjoy the lagoon. 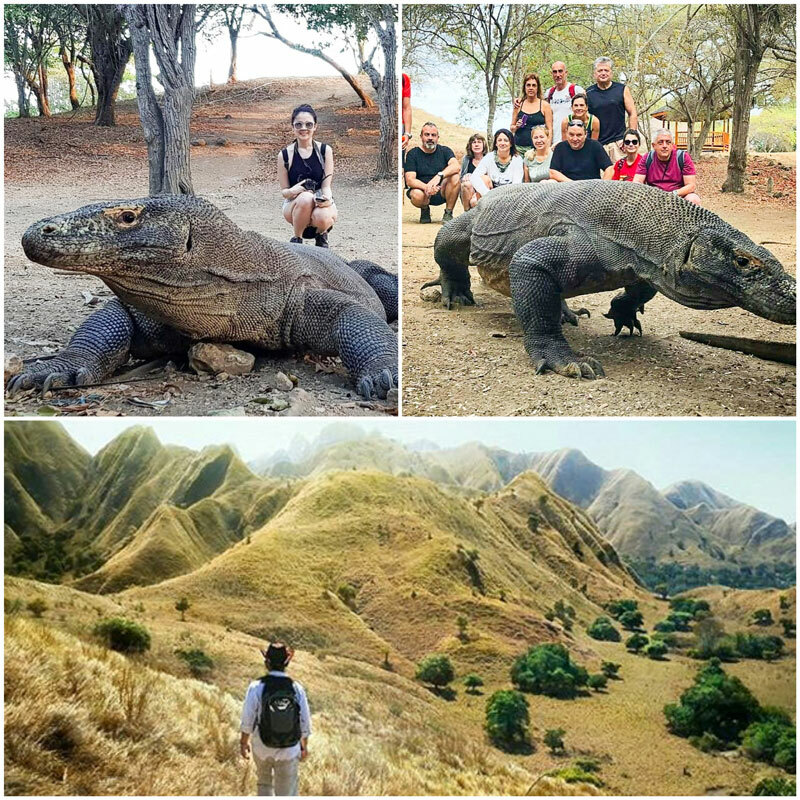 To witness the komodo dragons, we recommend you to visit during the period of July to September because this is the mating season for the giant reptiles, but do note that this is also the peak season in Flores, so you can expect a lot more tourists and higher prices. 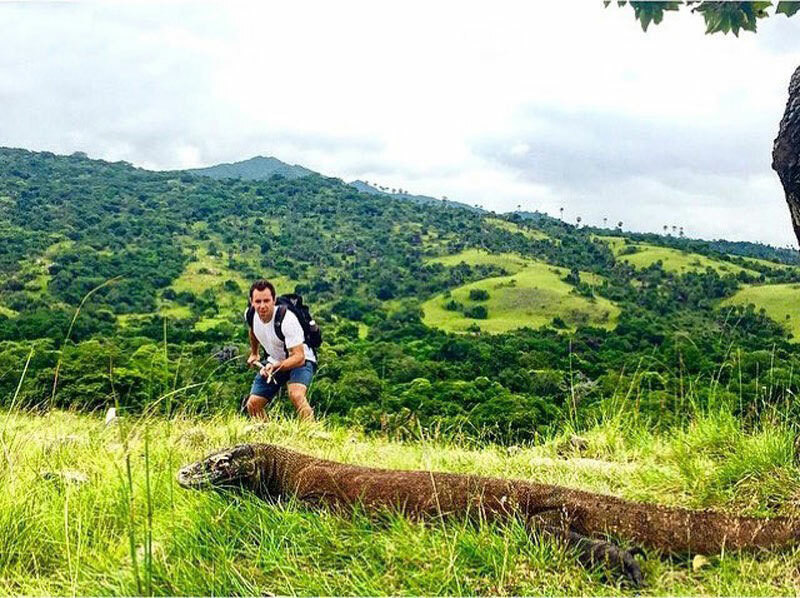 If you plan to go trekking, do visit during the dry season from April till late October. 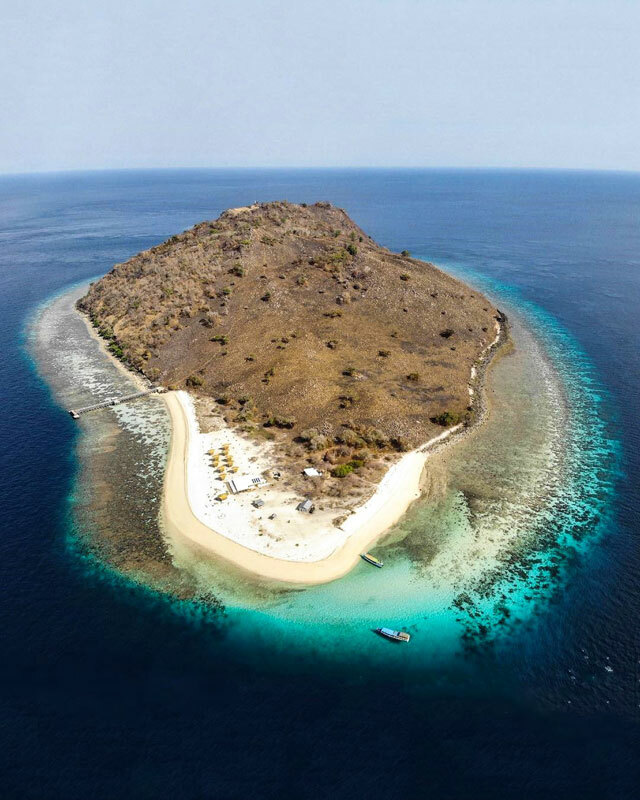 Your ideal length of stay in Komodo Island will depend on how you wish to explore the area. 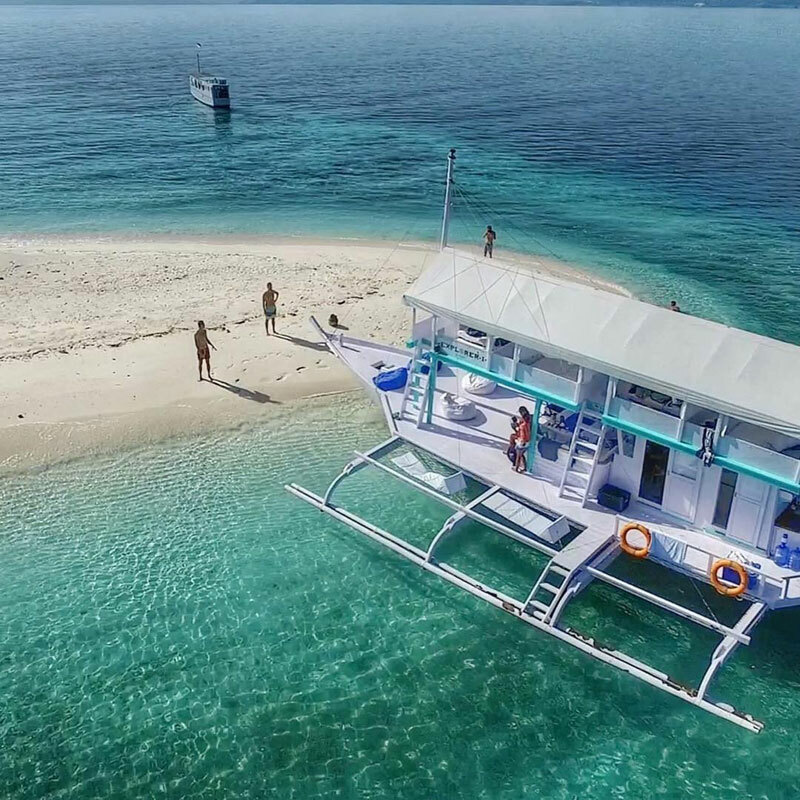 If you wish to spend most of your time onboard and do mostly island hopping and diving during the whole tour, we recommend a minimum stay of 4D3N. 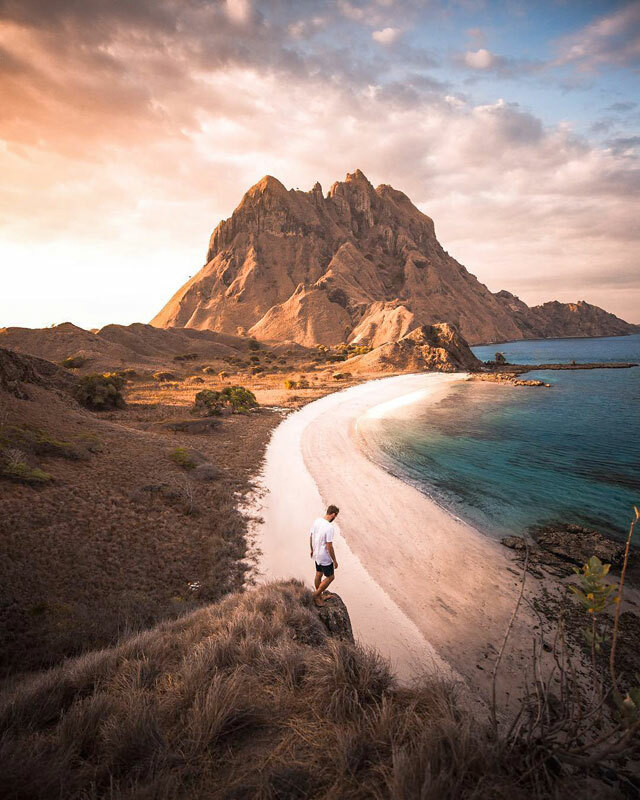 But if you want to explore Komodo Islands and still wish to wander through inland Flores, a 5D4N itinerary would be a more reasonable option. No time restriction? 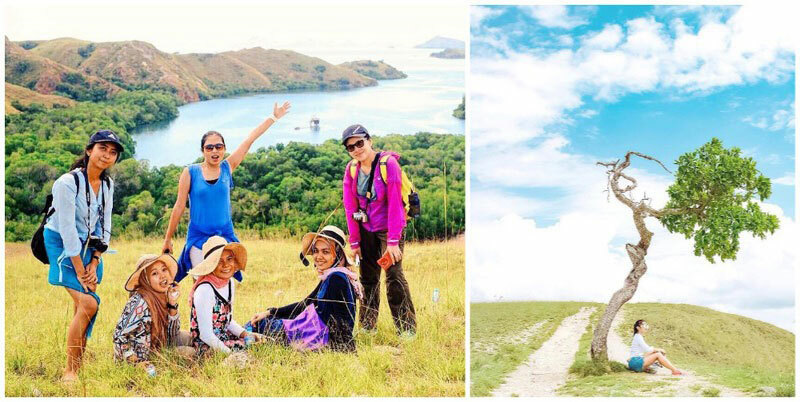 Explore the depths of Flores throughout a full week! Now that you are ready for Jurassic Park, prepare your weapons (selfie sticks and camera) for the exotic adventure! 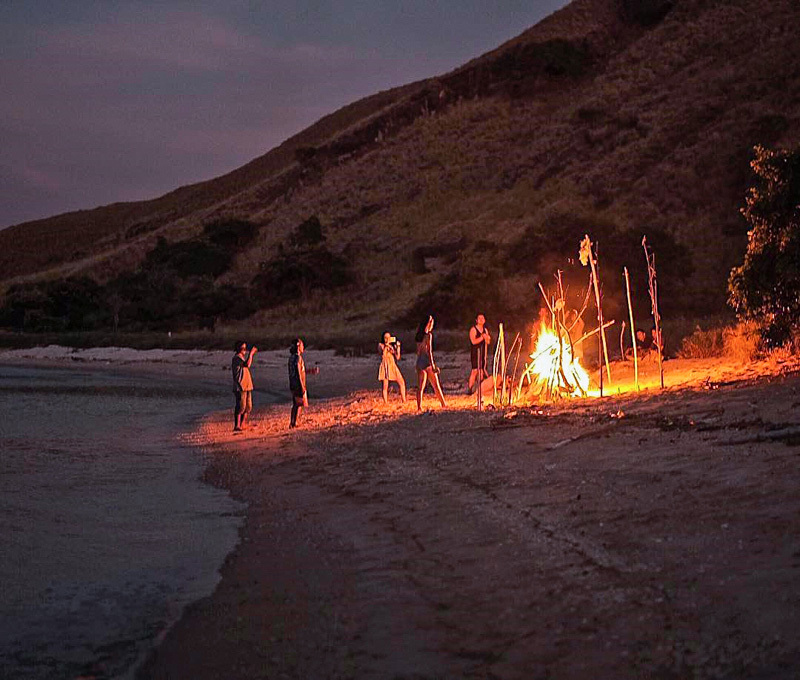 Tell your friends about your next escape, tag them below and help them plan theirs too!